How to Fix Windows Update Error Code 0x8024a10a? 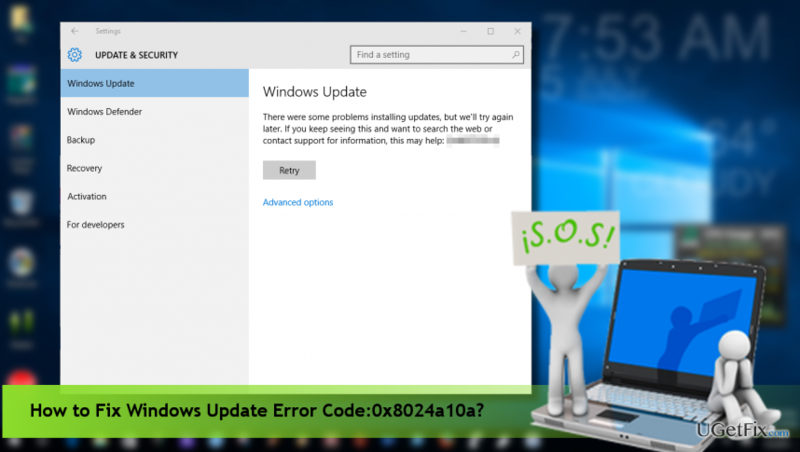 Home »	Fix » How to Fix Windows Update Error Code 0x8024a10a? Issue: How to Fix Windows Update Error Code 0x8024a10a? Error Code 0x8024a10a during the installation of Windows Updates. Running Windows 10 with the Creators Update. Any suggestions? Microsoft rolls out Windows 10 updates regularly and urges people not to delay their installation. We would recommend doing so as well because only the fully updated system is stable, fast, and secured. However, Windows Update service often fails to download/install updates and displays errors, such as 0x8024a10a. There were some problems installing updates, but we’ll try again later. If you keep seeing this and want to search the web or contact for support for more information, this may help – (0x8024a10a). This bug check shows up on PCs, desktops, and smartphones running Windows 10. Unfortunately, Microsoft hasn’t yet acknowledged the bug, which means that there are no fixes available. Nevertheless, the bulk of Windows Update errors are typically triggered by anti-virus incompatibility, corrupted update files or malfunctioning Windows Update components. Thus, you may try generic Windows Update error fixes. Although keeping the system unprotected is not advisable, the first thing you should try to fix 0x8024a10a error is to disable your anti-virus tool for a short time. When the security tool is disabled, try to check if Windows Updates can be installed. If yes, install them and then enable the anti-virus. If the problem occurs anyway, enable anti-virus immediately. For most of Windows 10 users, restarting BITS service helped to fix 0x80070020 error. If, however, that did not help, we would recommend resetting all Windows Update components. That’s a quite complicated task, but the instructions provided in this post carefully will guide you to the right direction. Navigate to the official Microsoft website and find Windows Update Troubleshooter. 1. Click Download Now button. 2. When the tool is downloaded, launch it. 3. Follow the on-screen instructions and see what it reports. 4. If any issues are found, they will be fixed automatically. If none of the fixes helped, the last thing you should try is to check the system for malware. It might be that a malicious program is hiding in the depth of the operating system and causing its malfunctions. To verify system’s condition, we would highly recommend using Reimage. 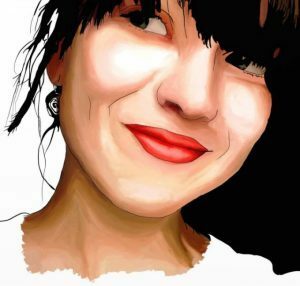 Lucia Danes is the news editor at UGetFix. She is always on the move because the eager for knowledge makes her travel around the globe and attend InfoSec events and conferences.